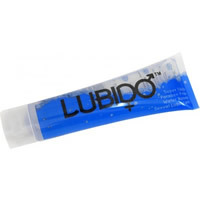 Whether for yourself, your partner or even just for massaging away your aches and pains, Lubido has been masterfully formulated to give you more than you'll ever need from a lubricant. Immerse yourself in its silky smooth and non tacky texture. Lubido puts your mind at ease by being paraben free and latex friendly giving you the freedom to explore further without worry. With an easy lock and non spill pump, Lubido is as quick to wash off as it is to put on without ever needing to worry about staining. Only a few drops of this odourless lubricant is needed to go a long, long way!